The Nintendo 3DS has come a long way since its release in 2011. Not only did this hardy handheld weather a rough launch, it became a bustling hub for great games – eShop oddities, remarkable remakes, superb sequels, and fresh faces. One such fresh face was Dillon from Dillon’s Rolling Western. The aforementioned eShop exclusive released in 2012 found success, paving the way for two sequels that are bigger and better than the original. The latest game, Dillon’s Dead Heat Breakers, is one of this year’s biggest new releases for the 3DS, but it has come at a time when a great deal of attention has shifted to the Nintendo Switch. I’m enjoying the Switch quite a bit myself, but I’ll dock it and grab my 3DS when it gets a great new release, and Dillon’s Dead Heat Breakers is just that. It improves upon its predecessors in practically every way, showing not just how much the series has grown over the years, but how much the 3DS has grown in that time as well. 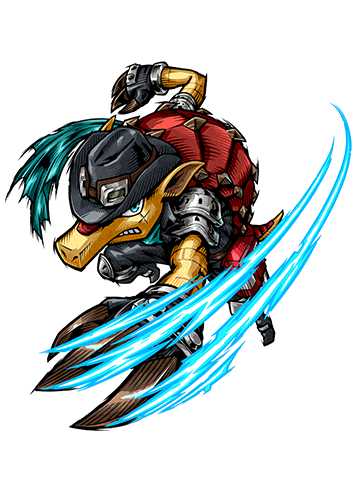 For those of you who are not familiar with this series, Dillon’s Rolling Western and its sequel Dillon’s Rolling Western: The Last Ranger are tower defense games where you play as an Armadillo named Dillon that protects villages from rock monsters called Grocks. With the help of his sidekick Russ (and a trio of awesome outlaws in The Last Ranger), Dillon gathers resources, builds turrets, and battles an assortment of angry Grocks from town to town. They’re fun games, and plenty challenging to boot. As for their shortcomings, there is very little to do apart from defending towns. I wanted to see and do more in Dillon’s world, but neither game really gives you that. Thankfully, Dillon’s Dead Heat Breakers does. Unlike the first two games, you can now explore a small portion of a city and play some mini-games, giving you a much-deserved break from breaking Grocks. You can head to the racetrack, beat high scores at the local arcade, take a shift at a grocery store, and so on. Some of these diversions are better than others, but they’re all a welcome addition to a series that stood to benefit from some variety. Something worth noting is that Dillon isn’t the one who’s exploring the city. He’s usually sleeping in between battles! Instead, you roam around as a character of your own making. At the start of the game, the player gets to select a mii and then turn it into an “anmiimal”. You can choose to be a rabbit, ox, fox, or bear, to name a few options. It’s cute, and while I missed my chance to be Peter the rabbit, I enjoyed stomping around as Peter the glasses-wearing ox. This silent protagonist often feels like the main character, but worry not! You’ll still be playing as The Red Flash (Dillon) when defending towns. That said, your anmiimal doesn’t just loaf around while Dillon’s out fighting the good fight. Far from it! The player character provides backup by zooming around the map on a jetpack taking out Grocks with or without Dillon. You can select your custom character’s destination on the touch screen and they’ll be there in a jiffy. Speaking of the touch screen, it’s no longer used to control Dillon like it was in the previous two games. Constantly flicking the touchscreen got a bit tedious at times, so I think this change was for the best. Controlling Dillon feels intuitive and satisfying, and he’s faster than ever thanks to the engines he now wears into battle. These speed boosters also help him keep up with the Grocks when they transform into mobile monstrosities. New to the series are racing segments that take place near the end of a battle. 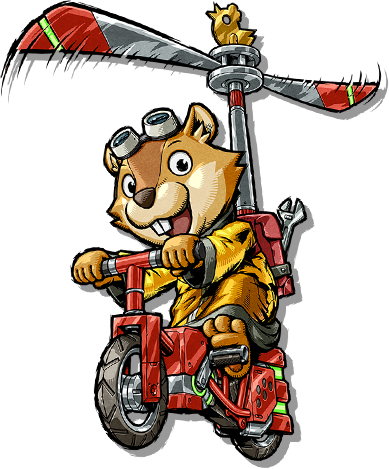 When the Grocks grow desperate, they transform into vehicles and drive around the map to store up energy for a last ditch attack. Dillon simply has to defeat them like usual, but the playing field feels totally different. It’s a clever twist to the franchise’s formula that gives each mission an action-packed ending. 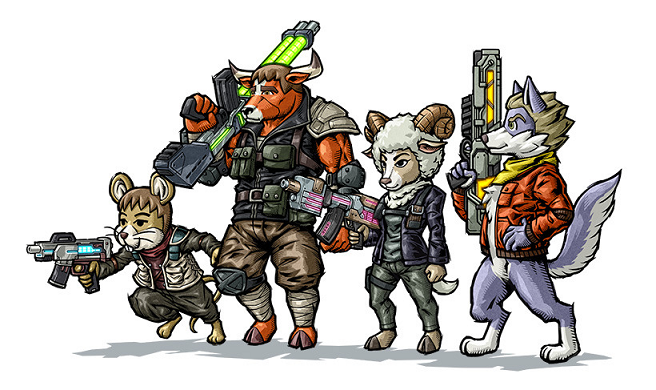 Also new are gunners – additional miis turned anmiimals that can be hired before missions. Gunners use a few different weapons, so you’ll have to look at the upcoming mission’s map and decide which type of gunners would be best suited for it. 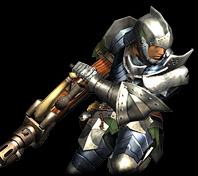 While outfitting towers with weapons isn’t new to this series, Gunners are more versatile than what was available before. 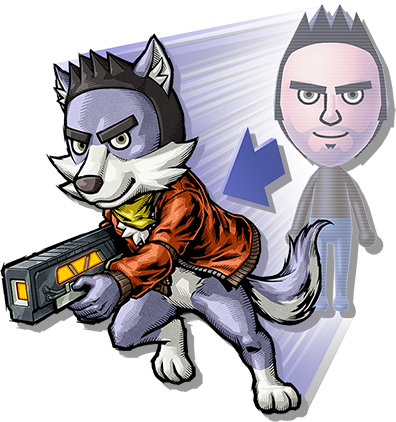 Not only that, but hiring an anmiimal based off of people from your 3DS friends list is pretty amusing. A few of you helped me defend some villages as ducks and cats and whatnot, so thanks! In terms of presentation, it’s easily the best looking game in the series. The old west is replaced with an impressively-detailed post-apocalyptic setting. While I do miss the old west vibe, I can appreciate that the developers went for a different look and feel. I’d often move the camera around just to appreciate its well-crafted world. Adding to the atmosphere is a soundtrack that largely consists of songs that subtly breathe life into the game’s shops and streets. I got the impression that the characters in the game can hear most of the music I was hearing, which is pretty interesting. At the end of the day, I feel like I finally got Dillon game that I’ve wanted since the original. I got to see more of Dillon’s world and its inhabitants while also enjoying some of the best gameplay the series has to offer. Dillon’s Dead Heat Breakers can still get repetitive like its predecessors at times, but it does a great job of mixing things up by throwing new types of enemies at you, introducing new mechanics, and offering a bunch of amusing mini-games. The $39.99 price point might scare some people off considering the first two games are much cheaper, but I think there’s enough here to justify the cost. Interestingly enough, this game got a retail release in Europe and Japan even though it appears as an eShop exclusive in North America. Anyway, here’s hoping this isn’t the last we see of Dillon and Russ. The 3DS may be close to retiring, but that doesn’t mean they should too! Nice review! A hidden gem, eh? I think the $40 price tag really hurt this one. I haven't really heard ANY buzz about it. Even here! I'm glad that they removed the touchscreen scratching. And the Anmiimal thing seemed super-charming(/arousing??). I'll try to pick it up for a 3DS swan song. Maybe when it gets a Club N discount? Is it still 3D? I also would love to see more Dillon, because I think he is one of the most unique game characters in a long while. And that art style. Just great. It's a bummer it's digital-only in NA, it would have been a nice scoop for my collection but I'll probably skip it now. It's good that the touch screen controls are gone, they felt like a leftover from the DS era where games were trying to justify the touch screen with needless touch inputs in place of buttons. However, my biggest issue with the first two games was how repetitive they were, and it doesn't sound like that's been addressed here. I don't care for the new drab look, either. Thanks! I'm honestly a bit shocked at how little attention it's received. I think a retail release would have given the game more visibility and success, but perhaps that's just wishful thinking on my part. The demo gives you a taste of the game's racing segments, though it's presented in a more cinematic way. You'll get to see what your mii looks like as an anmiimal too! And yes, it can be played in 3D. I actually like playing these games with the 3D cranked up even though I typically turn it off for other games. I wrote this review hoping that it might inspire someone to give the game a try, so I'm happy to hear that! Dillon is such a cool character. 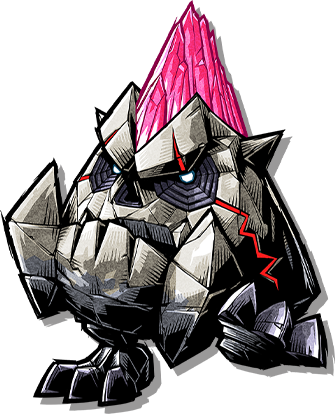 You know, we haven't seen him return as an assist trophy in Super Smash Bros. Ultimate yet. I doubt that means he's going to be a playable fighter, but I hope they give him his Dead Heat Breakers look. I like the leather jacket! He could also use his new speed boosters for more devastating attacks. It really is. I'm glad we got it at all, but I would have preferred to buy a physical copy. I actually like how the game looks.There's a great deal of care put into its dilapidated buildings and worn out roads. I also think that the Grocks are more visually striking this time around. Maybe it's my bias showing, but I feel like he would be an incredible addition as a playable Smash Brothers character. Maybe not a popular one, but imagine his moveset. It practically creates ITSELF. Would be pretty amazing. Dillon could be an echo for Sonic! ...Woah there, what you planning to do with that baseball bat...? I've been meaning to download this. I picked up other recent 3DS releases (Captain Toad, Sushi Striker, WarioWare) but this one kinda fell through the cracks. I'll get around to it soon enough! While I'd prefer an original moveset (who wouldn't?) I would take a Sonic Echo, yeah. Dillon is cool enough for me to learn fake-Sonic just to play as him, for sure.